Finding trees at the intersection of environmental action and social justice in Oakland, Calif. Volunteers and tree advocates are transforming concrete into green space in many underserved and low-canopy neighborhoods across Oakland, Calif. Credit: Christopher Horn. Before the Great Recession hit in 2008, the City of Oakland budgeted nearly $4.5 million dollars to its Tree Services Division, housed under the city’s Department of Public Works. Only one year later, that number plummeted to under $2.5 million. Unfortunately, in these circumstances trees aren’t the only inhabitants of a city that can feel the effects. The first point may not be all that surprising: Urban population in the U.S. totals more than 80 percent, a number that UNICEF projects to hit 90 percent — or 365 million people — by 2050. The second point is not as apparent, nor as simple as the first. While current and future population growth in American cities can be representative of economic opportunity and an overall good standard of living, these changes can also have negative repercussions, most notably for low-income and minority communities. With startups and tech companies flocking to the Bay Area, the region has witnessed a steady growth in population ever since the initial tech booms of the late 20th century. And, with a major housing crisis in San Francisco that is currently displacing longtime residents and pricing out newcomers, a socioeconomically and racially diverse group of people is moving elsewhere, particularly to conveniently located Oakland. Reversing a trend of population decline that the city faced from 2000 to 2010, Oakland had an estimated population increase of 5.9 percent between 2010 and 2014. And, when gentrification and urban development remove aspects that provide opportunities to everyone — jobs, affordable housing, etc. — it creates a community that lacks economic diversity. While it’s obvious that predominately high-income areas are better able to support greater tree canopy, it’s also typically true that neighborhoods with more economic diversity also have resources available to support tree planting and care, resulting in more canopy cover development over time. However, the real issue lies in predominantly lower-income neighborhoods, which have substantially less canopy on average as well as fewer resources to do anything about it. This is precisely the case with Oakland. Upon conquering Native American lands in the region, conquistadors from Spain called the settlement around present-day Oakland “encinal,” Spanish for “oak grove” — a reference to the impressive stands of live oaks that lay between the flat, coastal plain and the higher elevation on the east side of San Francisco Bay. In 1852, two years after California officially became a state, the name stuck and the town of Oakland was incorporated. In the more than a century and half since then, the city’s forest declined steeply, as many do, at the hands of expansion and development. Today, Oakland’s estimated 200,000 trees total 24.8 percent urban tree canopy, a moderate figure that ranks in the middle of other Bay Area cities, but below the national average of 27.1 percent. 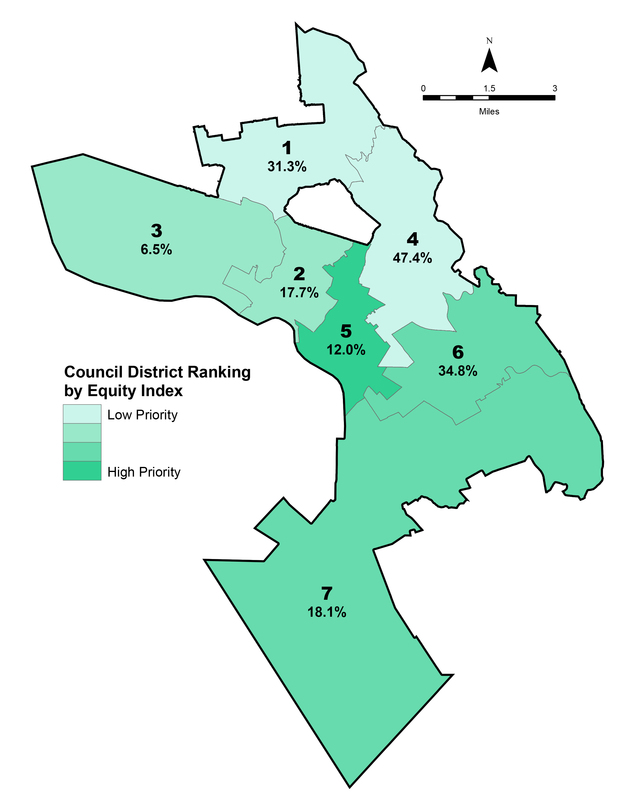 And, while the city’s trees provide benefits valued at more than $15 million annually, those benefits are not always proportionately allocated among Oakland’s seven council districts. 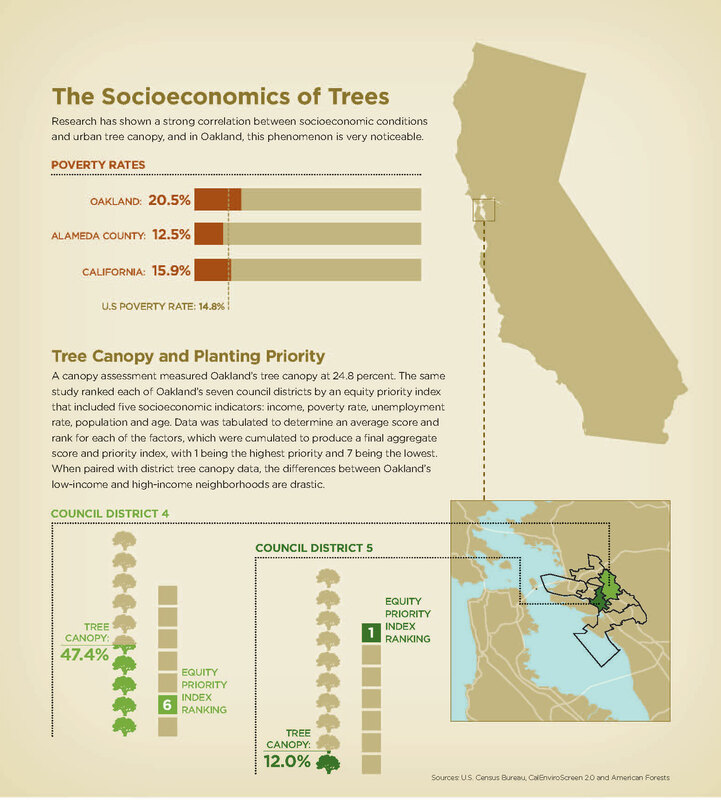 However, the relationship between socioeconomics and urban tree canopy is not unique to Oakland. Urban areas with little tree canopy encounter far more problems associated with the lack of green infrastructure — defined by the U.S. Environmental Protection Agency as “the patchwork of natural areas that provides habitat, flood protection, cleaner air, and cleaner water.” In most circumstances, these areas are comprised of low-income communities with limited access to critical resources that can improve environmental conditions. And, as climate change worsens and weather patterns shift to more extreme temperature and precipitation conditions, underserved communities bear a lot of the associated burdens. Several studies have found correlations between city trees and public health in neighborhoods with low tree canopy — increased respiratory illness, particularly among children and senior citizens, and more incidents of diabetes and heart disease. In terms of psychosocial benefits, a lack of access to green space can negatively impact mental well-being and stress levels, the latter a foreboding allusion to the potential climate change risks highlighted in the recent IPCC report. Recognizing that tree canopy can be an important factor in understanding and addressing income disparity and supporting sustainable development — both environmentally and economically — a recent study by American Forests examined tree canopy by Oakland council district in correlation with several demographic and socioeconomic factors, including income, poverty rate, unemployment rate, population and age. The information that was derived can help identify the districts where additional trees can provide the greatest positive impacts for communities. Tree canopy isn’t always the best indicator for prioritizing tree plantings. When socioeconomic factors are examined, areas with the greatest need may not seem as apparent. The American Forests analysis found that Council Districts 3 and 4 have tree canopy percentages higher than the city’s overall total. Council District 4 has the highest canopy coverage and median household income, and trees there intercept the most stormwater and absorb the most carbon annually, while Council District 1 has the lowest risk for poor air quality. In contrast, Council District 5 has the second-lowest canopy cover and ranks the highest in poverty rate, while Council District 7 has 18 percent canopy cover and is at the highest risk for poor air quality and unemployment. When government and nonprofit resources are stretched thin, poorer communities have a much more challenging time improving socioenvironmental conditions than their affluent neighbors. Since the 2008 financial crisis, the budget for Oakland’s Tree Services Division has been up and down, with the most recent fiscal year having the highest allotted amount since 2010-2011. With funding still at relatively low levels, local nonprofit groups, in partnership with the city, are leading efforts to plant trees and engage communities. 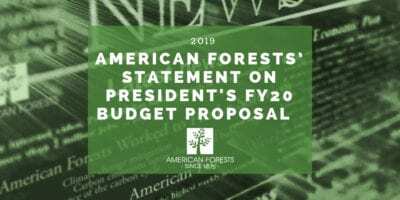 In response to the city’s budget cuts, an employee for the city described the problem to Arthur Boone, a local environmentalist, and suggested the idea of assembling a group of dedicated tree-planting volunteers. Known as the Sierra Club Tree Team (SCTT), the group has planted nearly 1,400 trees since planting its first ones in January 2010 — a welcome amount as the city no longer plants trees as part of its operations. The team plants between 200 and 300 trees each planting season, which runs from roughly November to June. 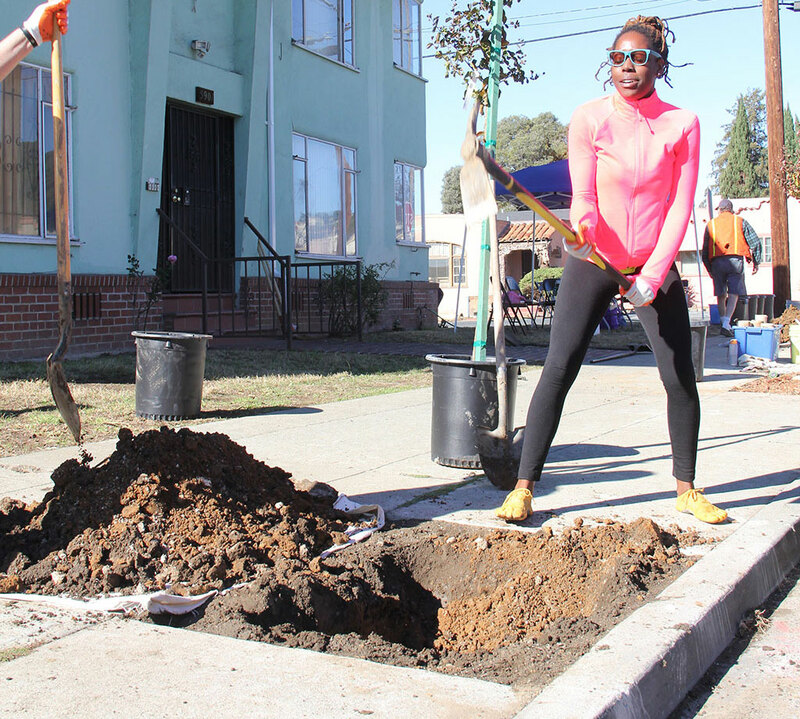 Other local nonprofit organizations, including Urban Releaf, also plant trees across Oakland. Urban Releaf declined to comment when approached to be a part of this story. 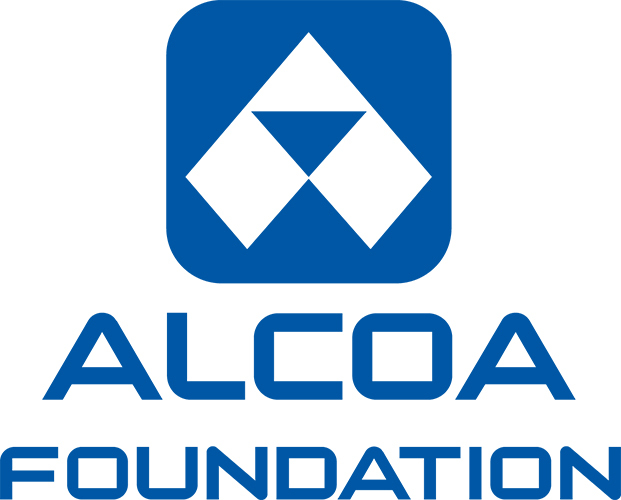 Additional funding from the group has gone to its efforts with the city to remove concrete from sidewalks, creating planting space that volunteers and neighborhood residents can add trees to. This initiative is extremely helpful as more than half of Oakland is covered in concrete, asphalt and other gray infrastructure, putting pressure on stormwater and sewer systems, thus negatively affecting water quality. 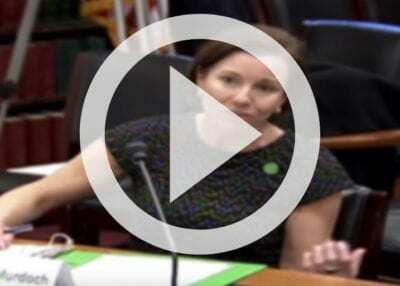 Another area of interest for the SCTT is advocacy. Volunteers have lobbied to other branches of local government, namely Oakland’s city council, to increase the Tree Service Division’s budget. One of the group’s goals is to reinstate tree planting as a division task, a service that the SCTT says would cost approximately $350,000 each year. 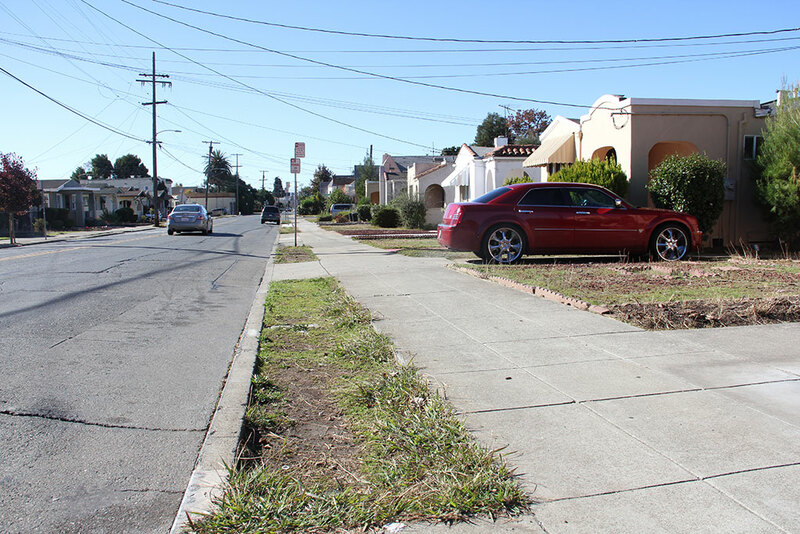 Treeless planters in Council District 6, which has the second-highest poverty rank among Oakland’s districts. Credit: Christopher Horn. In many cases the trees that the team plants are located along streets, mainly in residential areas. Although the group prioritizes plantings on a first-come, first-served basis, in the higher income areas of the north and in the Oakland Hills, the SCTT requests residents to cover the costs. For tree plantings in the denser, more impoverished areas south of Interstate 580, grants and other donations cover the costs. The hyper-engaged group is now led by Derek Schubert, a landscape architect who carries on Boone’s pursuit of adding trees to communities that greatly need them. At a planting in Council District 6, which has the second-highest poverty rank among all districts, Schubert addressed this idea to a group of neighborhood residents and volunteers. Community forestry groups and professionals constantly talk about and tout the quantitative benefits of incorporating trees in city-scale green infrastructure, which, as previously outlined, can be evaluated and given a monetary value, a process that, among other outcomes, can ultimately lead to increased investment in growing and maintaining a city’s tree canopy. While urban forestry as a specific field has been around for decades, it has only been within the last few decades that we have taken a closer look at trees and nature in cities and their relationship with the social sciences. Though the results can still be quantified, looking at community trees through this type of lens leads to a more humanitarian approach to urban greening initiatives. Among the qualitative benefits of trees in cities is the correlation between the presence, number and location of trees and the amount of time inner-city residents spend in public green space. Additionally, the more time people spend outdoors, the stronger the ties they have with their neighbors, which, in turn, establishes a greater sense of community. As is the case for all the stakeholders that are invested in making Oakland a greener place, resources are precious and partnerships are vital to achieving goals. Chief among the concerns of those working in neighborhoods across the city, primarily those in underserved and minority communities, is to provide the resources necessary to develop future tree stewards. Robert Zahn, a certified arborist and supervisor with Oakland Tree Services Division who has worked for the city for 27 years, has witnessed firsthand the sense of pride people, particularly children, have when they plant a tree. 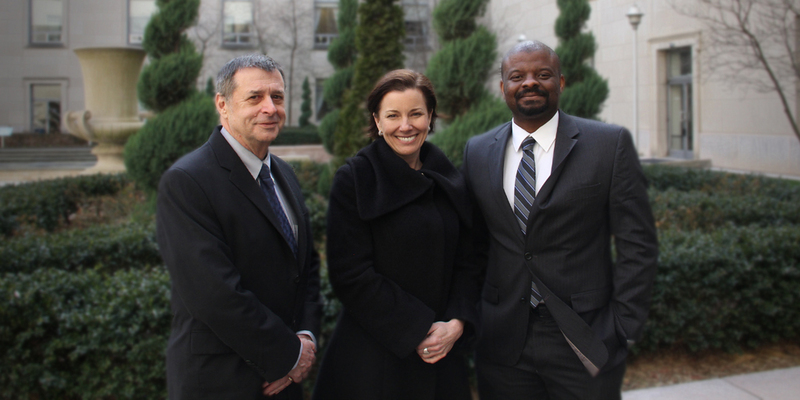 During his time working for the city, Zahn and the Tree Services Division have coordinated Arbor Day tree plantings on school grounds throughout Oakland’s neighborhoods. 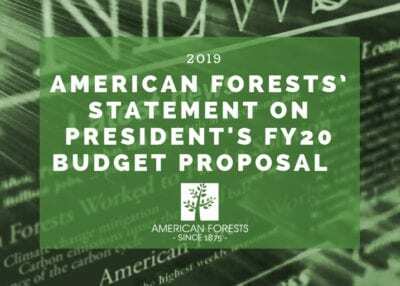 Christopher Horn writes from Washington, D.C. and is American Forests’ director of communications.